When was the last time you provided something new for your customers? 01 Dec When was the last time you provided something new for your customers? After consistent customer experience, convenience, easy payment, new products or services are top priorities for customer loyalty. In previous articles we’ve shared the importance of maintaining a secure, regularly updated website with easy navigation and great content. A website’s main purpose is to generate leads and in order to do this there is a level of ongoing marketing input required to attract customers, engage them and to maintain them. All this is wonderful … if you have the time. For many small businesses, start-ups and sole traders, time to maintain their website, write content, design imagery and research their marketplace is constrained. Evaluating what does and doesn’t work from a marketing point of view is nigh on impossible. But it is necessary for an online marketing strategy (or any marketing strategy) to prove a return on investment. If you invest time or money it needs to yield enquiries and orders. Doesn’t it? A positive move would be to devise a monthly support package that works for your business. Test email marketing, social media content, website features and regular blog articles (more on this later) to see how customers respond. As a small business owner myself, I’m well aware of operational pressures and marketing requirements versus staying sane. It’s a balance. Start-up business courses should include a module on five-star juggling techniques because that’s what happens. Gap in the market? Maybe. But not one for me to run with. It’s not always feasible to employee staff to develop or implement a marketing strategy because of cost and skillset. So what’s the solution? An outsourced resource that you can turn on and off when you need to is ideal to fit around your budget, needs and schedule. At TukTuk Creative Marketing we use outsourced expertise. We’re a creative web and online marketing agency not business admin or accountancy specialists. Sure, we could probably manage it, but it’d take three times as long and I’d be stopped at the supermarket checkout for buying too many packets of paracetamol at lunchtime in an attempt to numb the pain. Enlisting the help of professional skills saves time and money and outsourcing creative expertise really does pay dividends. Where do they reside online? What are they engaging with currently? What do you need them to do on your website or social media? Google Analytics provides free data but it’s by the bucket load. To summarise and add perspective the data will help identity your web audience persona – who they are, where they come from and what content they are interested in on your website. Similar insight is available for all social media platforms and other search engines such as Microsoft’s Bing. Essentially it’s a fact-finding mission to draw up common denominators. This is your starting point. Any reputable outsourced or freelance team will ask for this information before they agree to any scope of work. They couldn’t implement effective support without this knowledge. Gathering upfront data does take time and if it’s time you don’t have, an outsourced team should be equipped to research this as part of a ‘set up’ process. They will even talk you through Google Analytics and social media insights via a screen share session to enable you (if you really wanted) to pick this up at a later date. In my experience, most people are happy to hand it over. Content takes many forms but it should address the needs of customers and the business. It’s not a ‘nice-to-have’ or scattergun approach. It has to work otherwise it’s wasted time and money. Markets and customers change, as do the needs and drivers of a business. Frequent reviews of all activity will enable the business to stay on target with goals and to adapt quickly if needed. 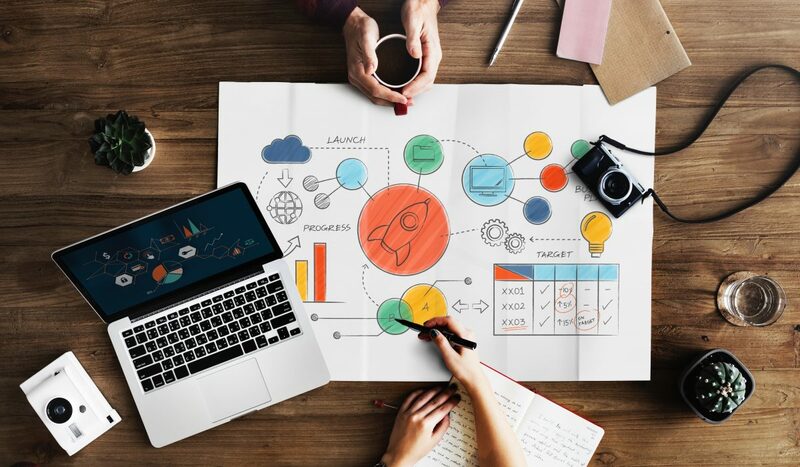 Outsourced marketing teams will provide regular communication and reports for all activity to determine success outcomes and identify where improvements can be made. If limited time and absent skillset is preventing you from implementing effective marketing activity, TukTuk can help. We start simply, with a brew and a bunch of ideas. Contact me today to get something in the diary and sign up to receive hints & tips in your Inbox to improve your website mailing list.